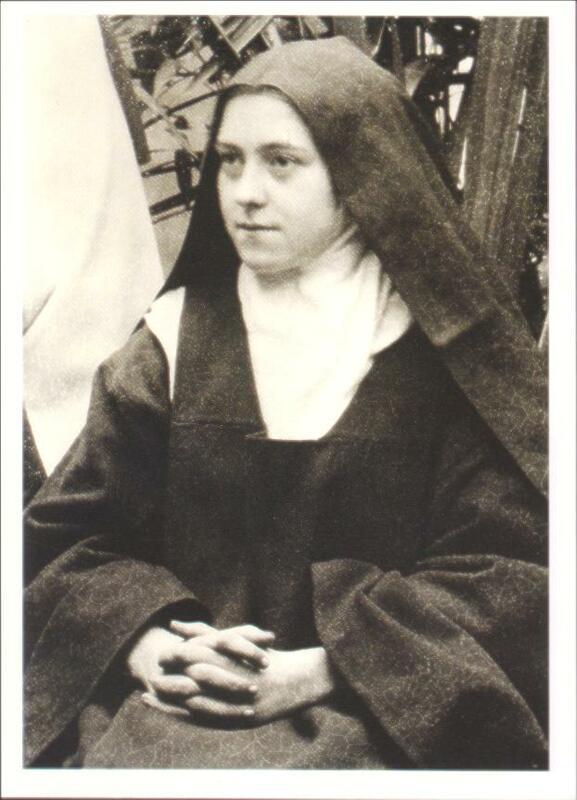 St. Thérèse of Lisieux (Jan 2, 1873 – Sept 30, 1897) Feast day is October 1, 2015. Saint Thérèse said that she would spend her time in heaven doing good on earth. 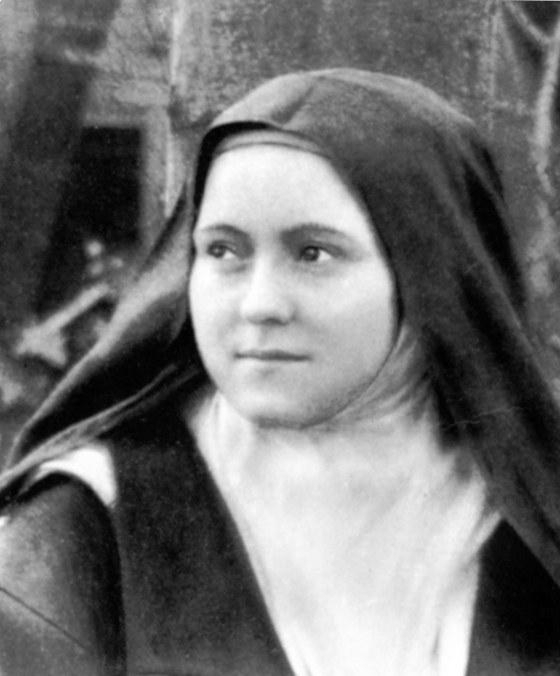 Also known as St. Therese of the Child Jesus of the Holy Face and the “Little Flower”. She lived to be 24 years old. Pope John Paul II proclaimed Thérèse of Lisieux a Doctor of the Church in October 1997, the year of the 100th anniversary of her death, making her the youngest and most contemporary of all Doctors of the Church. Lois Martin, a watchmaker, Zelie Martin a lacemaker and St. Therese in middle. 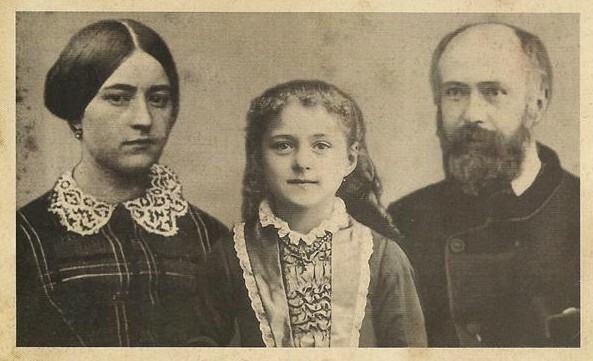 The canonization of Louis and Zelie Martin, parents of St. Thérèse of Lisieux will take place on Mission Sunday, October 18, 2015, during the Synod of Bishops on the Family. Shown above are the three individual reliquaries, housing the relics of Therese, Louis and Zellie. This is the first family reliquary for veneration and procession. The reliquary of St. Thérèse, Doctor of the Church is placed highest. 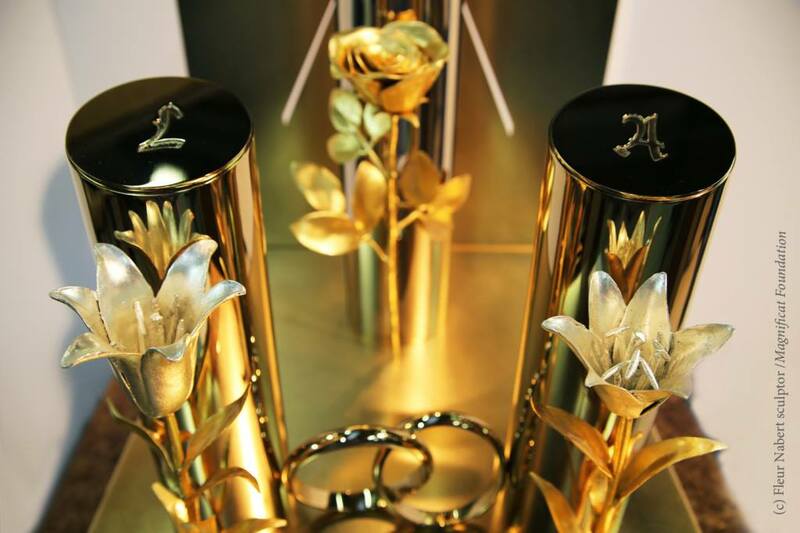 Louis and Zellie reliquary are united by wedding rings. The two white lilies are for the parents and the rose is for St. Thérèse. 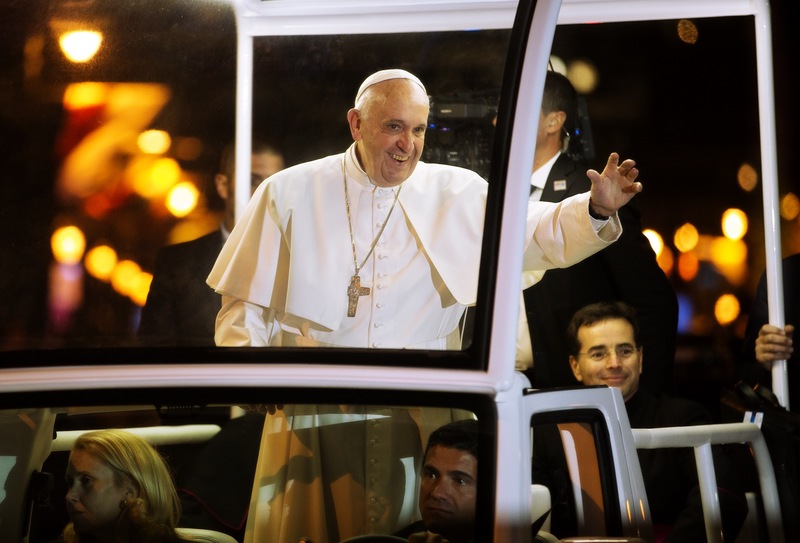 Pope Francis in Philadelphia, September 26, 2015. Photo by Will Yurman. 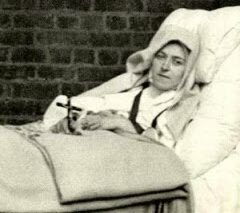 Pope Francis has said he received signs from St. Therese while asking for her intercession, in 2010, while still a Cardinal. He told reporters he received a white rose from a man while greeting pilgrims, who said, “you don’t understand anything: this is the sign that you are waiting for.” The man was never seen again. The parents of St. Thérèse of Lisieux will be canonized by Pope Francis on October 18, 2015 at the Vatican during the synod. Louis Martin (1823-1894) and Marie Zelie Guerin Martin (1831-1877) are the first married couple with children to be canonized in the same ceremony. 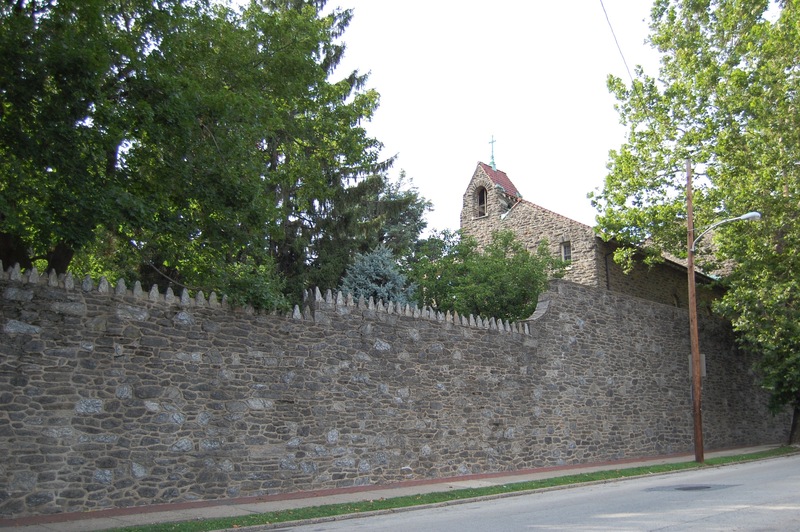 The walled Philadelphia Carmel Monastery with the Chapel of the Holy Spirit in the background. 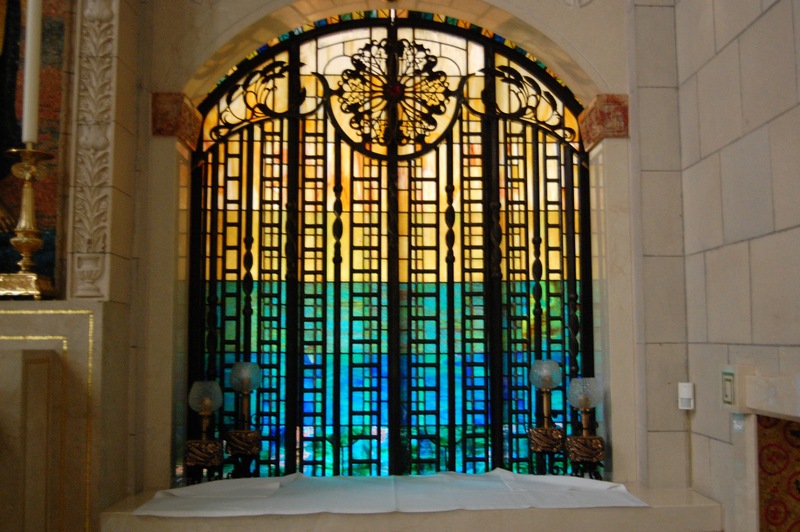 St. Thérèse lived in a similar Carmelite Monastery in Lisieux France. 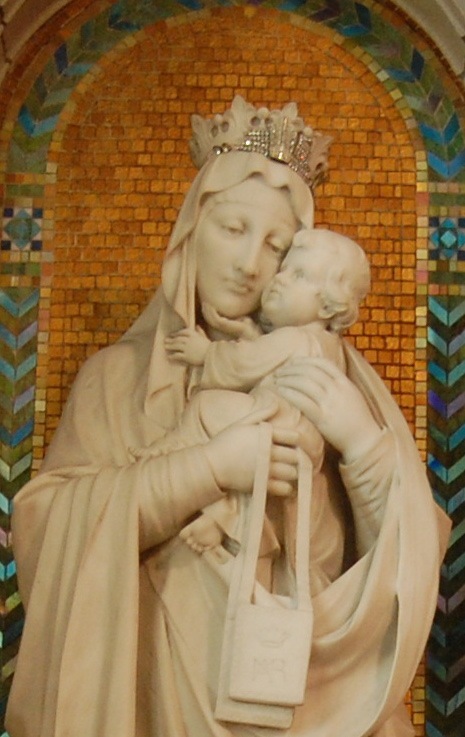 Blessed Virgin Mary with the Child Jesus. Carmelite Monastery, Philadelphia Carmel in Pennsylvania. 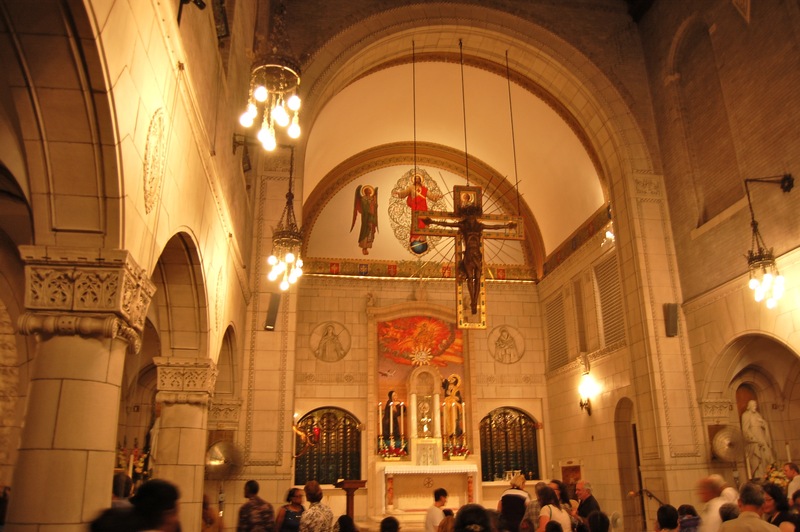 Chapel of the Holy Spirit after Our Lady of Mount Carmel Feast Day Mass in 2014. She is with us still. Therese of the Child Jesus and the Holy Face is the youngest of all the “Doctors of the Church”, but her ardent spiritual journey shows such maturity, and the insights of faith expressed in her writings are so vast and profound that they deserve a place among the great spiritual masters. Thank you for your comment and the reference to the two sites on the parents of St. Therese, Louis Martin and Zelie Martin. Their lives are interesting, since I believe both of them were seeking a religious order, unsuccessful albeit, before they met and got married. And now with their canonization coming up in a few weeks, they will be the first married couple to be canonized. And by Pope Francis, a true fan of their daughter. What a storyline! Thank you for the wonderful blog post! Most welcome, and glad you liked it.